My colleagues and I started our morning yesterday in grand style at the at the Prix de West Invitational Art Exhibition media preview at the National Cowboy & Western Heritage Museum in Oklahoma City. Camera in one hand, complimentary danish in the other, I set about documenting my favorites among the 312 works of art. If you didn’t already know, this show is a big deal. Each year, some of the country’s top artists are invited to show their works at Prix de West, the museum’s largest annual fundraiser. The exhibit kicks off with a blowout weekend of parties, seminars, artist demonstrations, an awards dinner, and an auction. The 2016 extravaganza happens this weekend, June 10-12. If you can’t make it, fear not: The exhibit will be up through August 7, and it’s worth seeing. The diversity of styles and mediums paired with the obvious skill and talent of the artists is overwhelming in the best way. 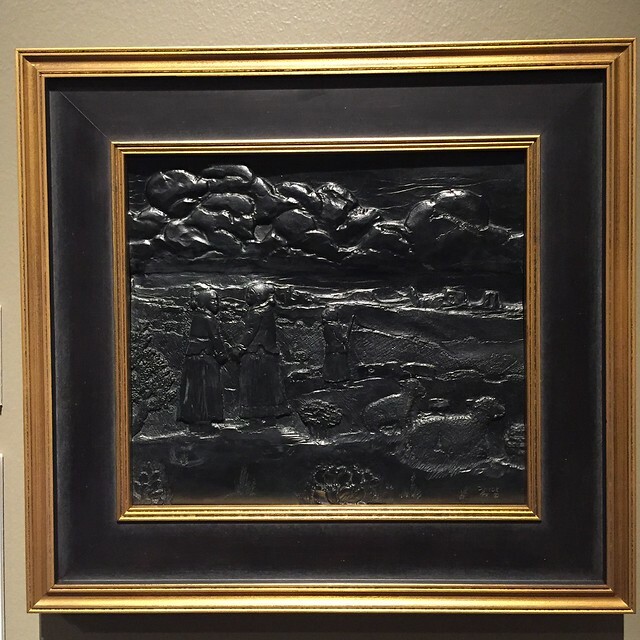 Since a picture is worth a thousand words, here is my layman’s guide to my favorite masterpieces of the 2016 Prix de West Invitational Art Exhibition & Sale. 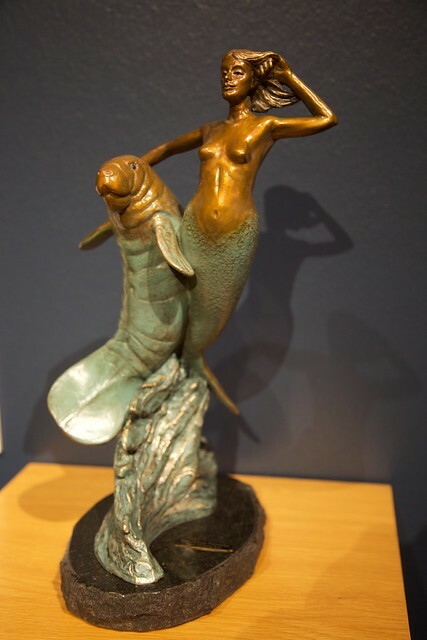 Mind and Passion by Kent Ullberg, bronze and stainless steel: Apparently there’s no stopping Kent Ullberg. This man is an animal-sculpting machine. 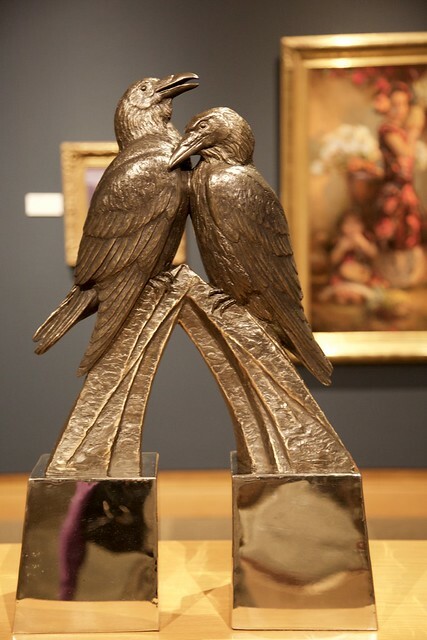 Viking folklore and Native American tradition inspired the Swedish-born artist to create these stately ravens. Distant Storm by Doug Hyde, Canadian stone relief: This depiction of Navajo life is dark and beautiful. This guy turned rock into an intricately detailed scene of human life, and that is impressive. 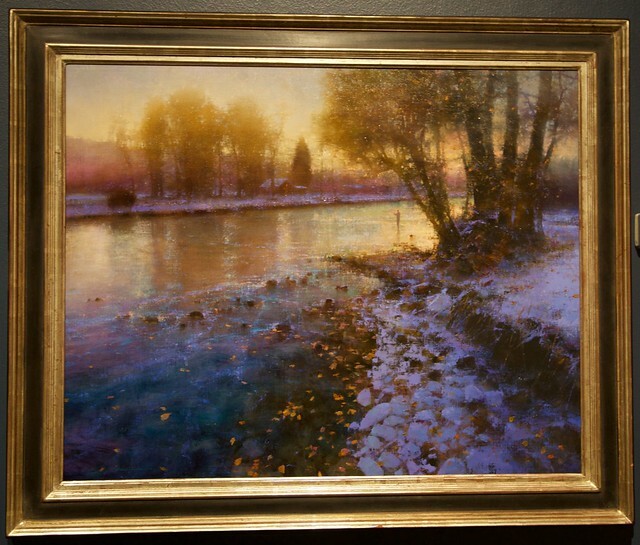 Farewell to Autumn by Brent Cotton, oil on linen: Looking at this painting, you can feel the chill in the air before a warm fall sunrise. It’s one of those paintings you want to step into. Positive Negative by John Moyers, oil diptych: “In this diptych I tried to put across a complicated statement as simply as I could. 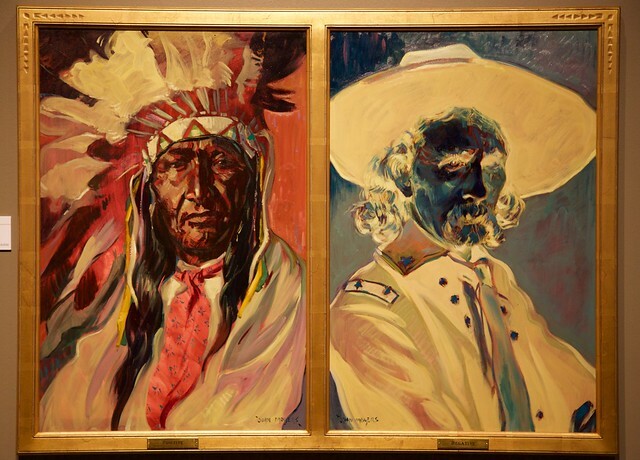 By taking historical photos as a starting point, then using the concept of negative image for the portrayl of General Custer and a positive full-color rendering of a proud Native American man, I hope I have been able to convey my intended message,” John Moyers said in his artist statement. I can’t say it any better. 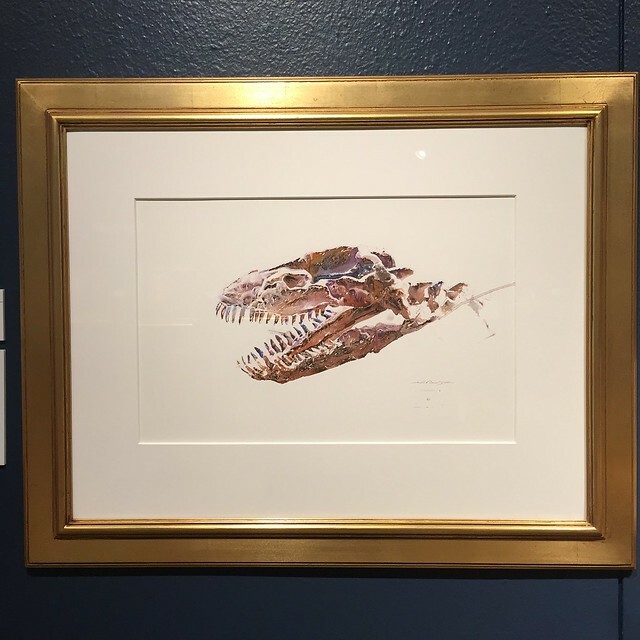 Leviathan by Charles Timothy Prutzer, watercolor: I was delighted and surprised to see a dinosaur skull among more classic subjects like cowboys on horseback and other contemplative human figures. The artist painted it from an in-person study of a skeleton found in Colorado in the 1930s, just beyond the Oklahoma border. The head is reminiscent of an earthy and particularly menacing Rorschach inkblot.